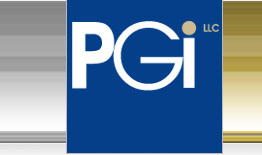 PGi LLC is an international consultancy specializing in corporate governance, enterprise development and financial advisory services. Our principals, consultants and associates are skilled professionals in law, accounting, economics and related disciplines. They have served in senior capacities in government, accounting and consulting firms, and academic institutions. PGi LLC has developed a series of “Toolkits” which have been specifically designed for individual countries. Each country has at least two such Toolkits, one for generic privately-owned business entities and a separate Toolkit for state-owned enterprises (SOE). The Toolkits provide a suite of business analysis tools, checklists, references to relevant guidelines and principles, and a comprehensive set of legislation covering essential areas such as company law, industrial relations and compliance. PGi also provides a “Diagnostic Toolkit” which can be used by company governing bodies to determine their level of compliance with local and international best practice. In association with local specialists, PGi LLC conducts a range of training seminars and workshops aimed at strengthening the operation of governing bodies and enhancing their relationships with internal and external stakeholders. PGi's head office is located in Johannesburg , South Africa . This document is intended to provide general information on a particular subject or subjects and is not an exhaustive treatment of such subject(s). Accordingly, the information in this document is not intended to constitute accounting, legal, investment, consulting or other professional advice or services. Before making any decision or taking any action that might affect your personal finances or business, you should consult a qualified professional adviser. Your use of this document and information is at your own risk. You assume full responsibility and risk of loss resulting from the use of this document or information. Certain links in the document lead to resources maintained by third parties over whom Privatization Group International, LLC has no control. PGi LLC makes no representations or warranties as to the accuracy of, or any other aspect relating to, those resources. © 2005 PGi LLC.. All rights reserved.